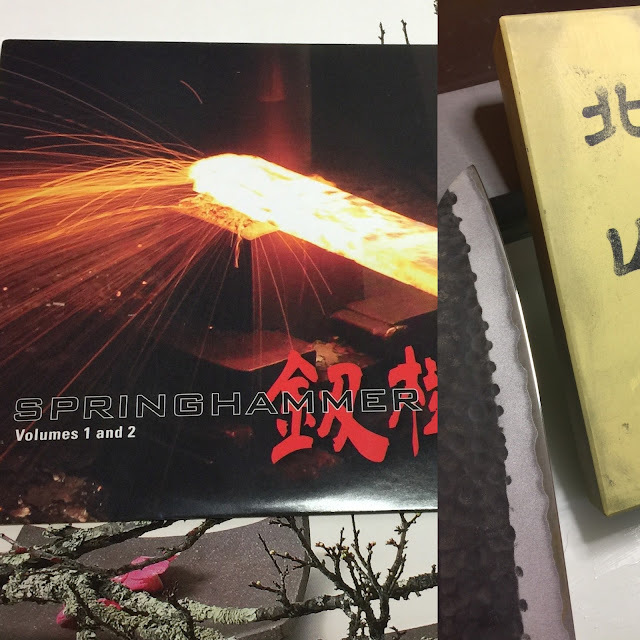 Recently, Mr. Kevin Kent, the President of Knifewear in Calgary (and other cities) sent me the film called Springhammer. To be honest, I did not know what Springhammer meant but now it is all clear to me. The Springhammer is the big automated hammer that blacksmiths use to shape their knives, we have all seen them on YouTube of course, they used to do that all by hand but the Springhammer is the way to go now. The film is much much more than that though. It is a very well made journey through the world of the very well known Master Blacksmiths in Japan. You get to see them work and they talk about their craft and their lives. It is a very enlightening film and I highly recommend it. 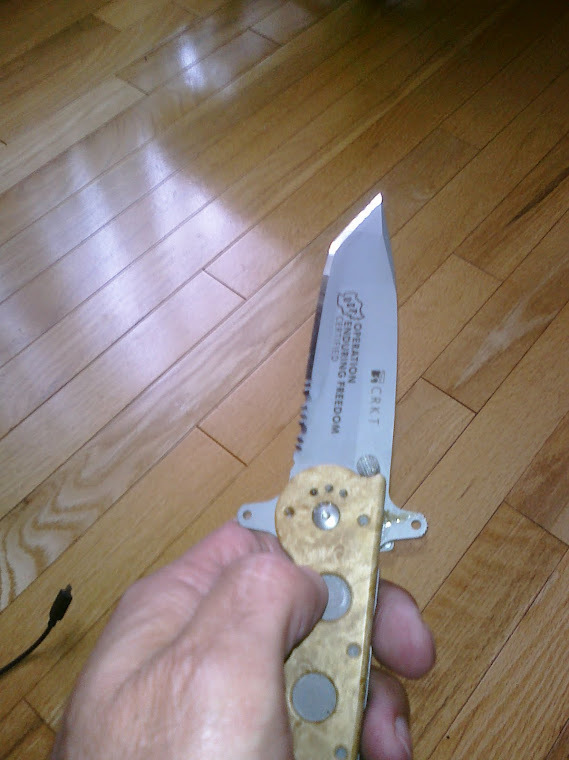 I am sure it is available through Knifewear in Canada for $10.00 and if not they can tell you how to get it. I have a copy here in Halifax and Kevin may be sending me a few more. The stone on the left is my new 1,000 Naniwa Akamonzen, XL. This thing is massive, and it's awesome. 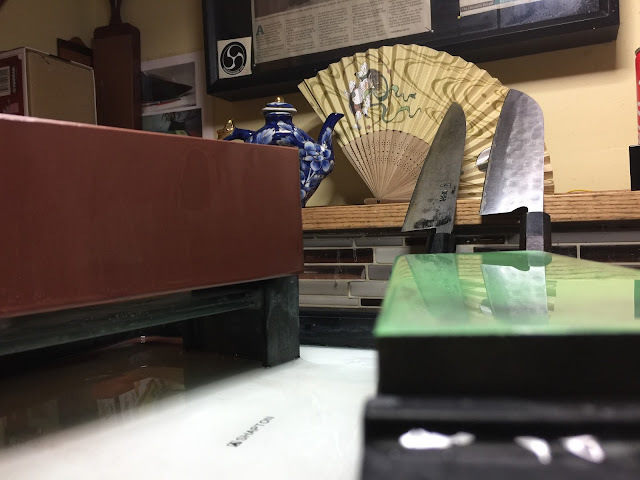 This is my sharpening area where I spend so much time. 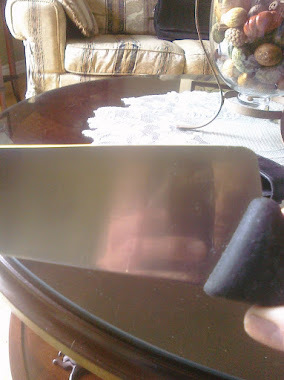 The two knives, Moritaka and Fujiwara belong to the Highwayman restaurant in Halifax. One of the few restaurants that I sharpen for regularly. 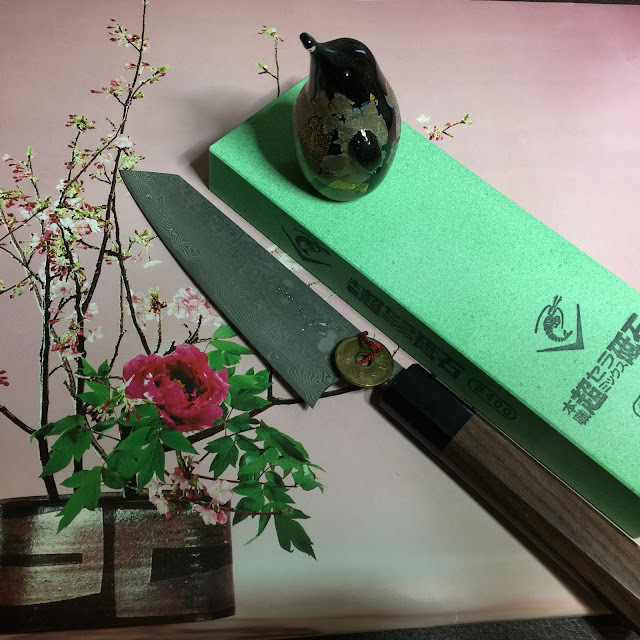 The knife on the top is a Masakage in VG10 and sharpened by Shibata San and of course the stone is the Naniwa Chosera 400 and it is one of my favourites. 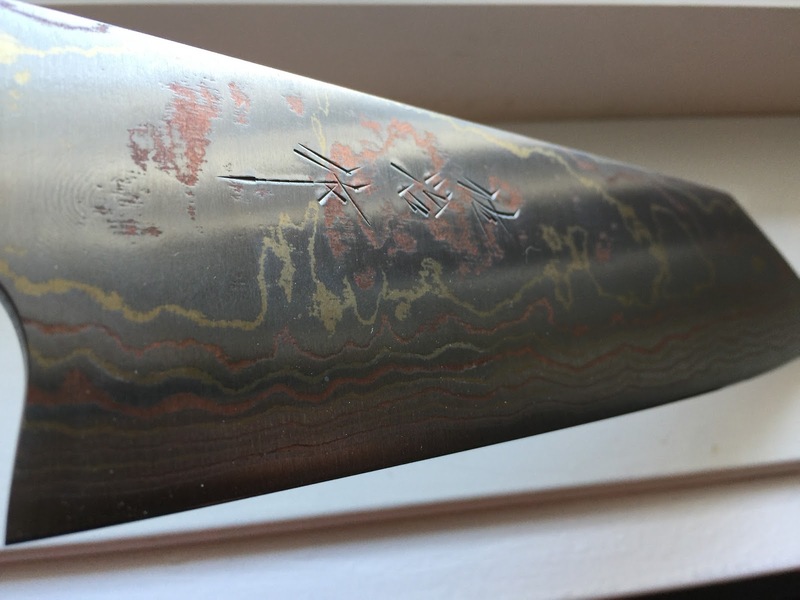 The bottom beauty is a Rainbow Saji, only 25 or so of these made, it is quite exquisite and very heavy, feels like a cleaver. I get a lot of nice emails from folks who have watched and enjoyed my pressure videos but feel free to let me know if there is something else you want me to discuss. 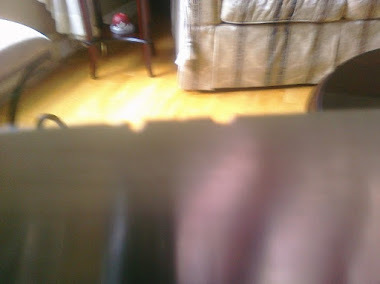 I don't pretend to be the authority on sharpening but I can find out what I don't know.